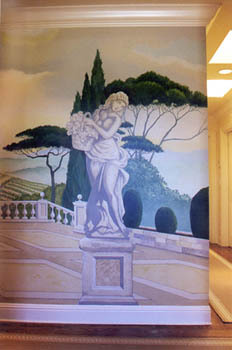 Client: Wanted soft scene reminiscent of Italian villa, with architectural elements, such as parterre, balustrade, sculptures to integrate the scene. Specifics: Main hall past entry with large view from dining room. Murals, acrylics.